There’s something incredibly magical and special about the mountains of western North Carolina. For centuries, they have been settled, built on, and explored, while at the same time protecting and preserving their captivating beauty and wild secrets. Firethorn in Blowing Rock is one of these real estate and construction companies that is dedicated to uniting prospective homeowners with their rustic gem in the high country. The Firethorn area was previously a privately owned tract of land when the owners and developers of the neighborhood, Phyllis and Jim Lester, and Bob and Joe Todd, explored the land, discovering some of the most amazing long range views, beautiful, fish-filled streams, and huge cliffs that tower over small clearings and valleys. Recognizing how special this land was, the friends upon deciding to purchase the property agreed to preserve the amazing qualities of it that made them fall in love and pass the chance along to future homeowners, in hopes that they will fall in love with the wild, untapped nature too. 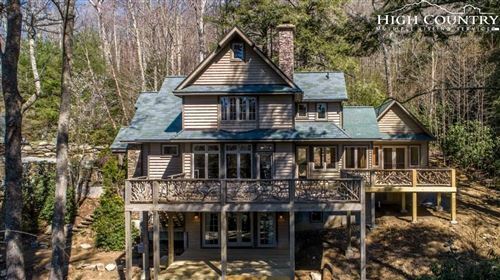 The homes in Firethorn are some of the most spectacular North Carolina luxury mountain homes. People tend to vacation in the High Country and discover that they either want to buy a vacation home in the area or make the permanent move to this haven. 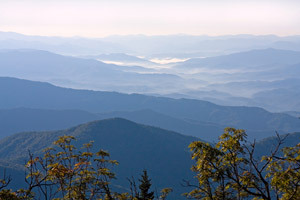 The unique culture, scenery, people, and history of western North Carolina has lured countless individuals, couple, families, and retirees to the area, all in search of the same thing – a small portion of this land to call their own. When searching for real estate in Blowing Rock and the surrounding areas, there is a certain style of home that homebuyers are searching for. The High Country’s rustic, mountain nature is translated into many residential construction projects, including the homes in Firethorn. These homes have a certain elegance about that relate to some of the oldest homes in the area. Great attention to detail is vital to ensuring that these homes are on point with the expectations that luxury homeowners expect in their permanent homes and even vacation homes. Amazing neighborhoods including Firethorn and many others of a similar caliber are found in our directory filled with Banner Elk real estate, Blowing Rock homes for sale, and Linville realty. You are sure to find the perfect home within one of these incredible places, and should you not find the right house, we are sure to help you find the perfect spot. The lots for sale in Firethorn and the other areas in our books will leave you breathless and imagining your dream home on that exact spot before you even leave the tract! We are dedicated to bringing these dreams to a reality for you and your family, and we will assist you in your search until you have found your perfect slice of Heaven in the High Country.